On Friday, 29 September 2017 the diocese of Waterford and Lismore held their Annual Pope John Paul II Award ceremony in SS Peter & Paul’s Clonmel, Co. Tipperary. 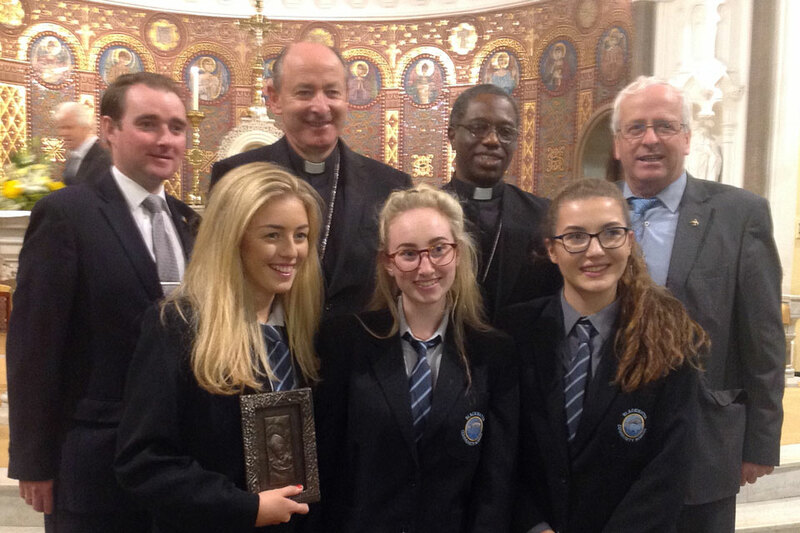 Recently appointed Papal Nuncio to Ireland, Archbishop Jude Thaddeus Okolo and Bishop Cullinan, Bishop of Waterford and Lismore, presented 133 students and participants from schools and parishes across the diocese with their Pope John Paul II Award. Run in many dioceses across the country over the last few years, The Pope John Paul II Award encourages our young people to get involved in their community and parish, and as part of our parish commitment to enhancing the lives of our young people on their journey through faith. The Award has been set up with the kind and generous support of the Knights of St Columbanus who were represented at the ceremony by the Grand Knight, Mr Barry MacMahon, accompanied by his wife, who were ironically married in SS Peter and Paul’s church. The students awarded included those from Ardscoil na Mara Tramore; Coláiste Dún Iascaigh, Cahir; Scoil Mhuire, Greenhill, in Carrick-on-Suir; Blackwater School in Lismore & Cappoquin parishes, as well as the High School, the Loreto and the Presentation secondary schools in Clonmel. Bishop Cullinan welcomed the students, their families and teachers, and mentioned the great work of youth ministry, which is taking shape in the diocese. He also welcomed The Holy Family Mission, which is starting its second year in Glencomeragh House, as well as the NET team ministry which also continues in our diocese. They, along with the Pope John Paul II Award, will be involved in parish youth ministries across the Diocese, encountering their peers, and encouraging the starting up of youth initiatives in parishes where they are invited. Towards the end of the ceremony, which was attended by many of the students’ family, teachers and friends, a presentation was made to Archbishop Okolo with his own Gold Medal from the Award, thanking him for his kind presence among them.